Maggie and her team are continually updating their knowledge of local real estate markets and sharing that information with our clients. We strive to make sure the home buying process is a smooth one, using technology to communicate with you – whether you prefer phone, email or text. The Move with Maggie Team manages all the details related to your home transaction, negotiates on your behalf for the best possible price and stays with you every step of the way through closing. Your home buying process starts with a meeting to determine your needs, wants and timing. Then the Move with Maggie Team sets up a customized search so that you are notified as soon as a property meeting your specific criteria goes on the market. We set up property tours and walk you through them, providing insight gained from seeing hundreds of homes and working in all 77 Chicago neighborhoods. Once you are ready to make an offer, we research the market to help you determine an accurate price and counsel you on structuring the terms of your offer so that it is accepted. Then we prepare and present your offer, negotiate on your behalf utilizing our 13+ years of real estate experience. 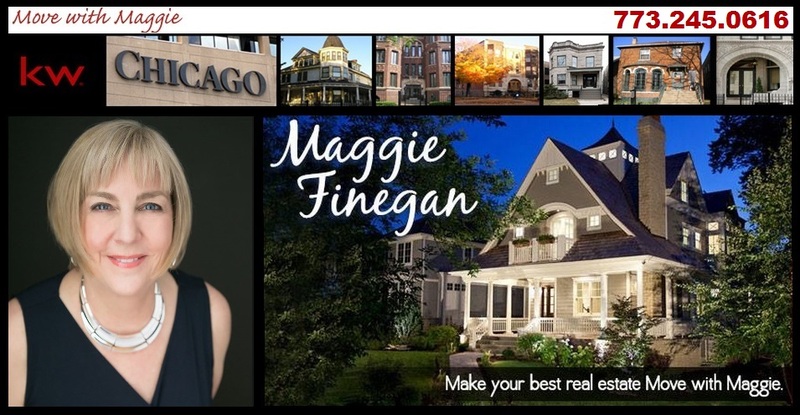 Maggie resides in the Andersonville neighborhood within Edgewater. Andrea Macias is an Accredited Buyers’ Representative working on behalf of the Move with Maggie Team and lives in Logan Square.